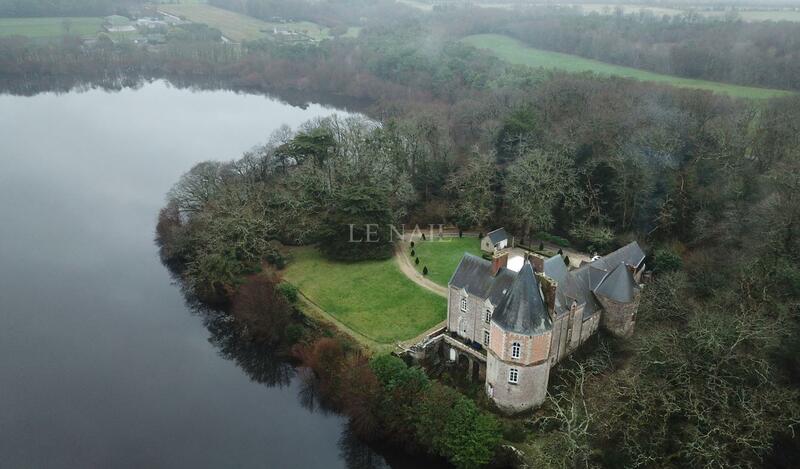 This bright small château erected over an older one from which remain the moats, looks over an enchanting lake. 3.7 mi away a village provides first amenities, as well as a 18 hole-golf course. On the ground floor: lobby, two dining rooms, two sitting rooms, library, kitchen, scullery. Convertible attic and a cellar in the basement. Heated pool (41 ft x 18 ft). 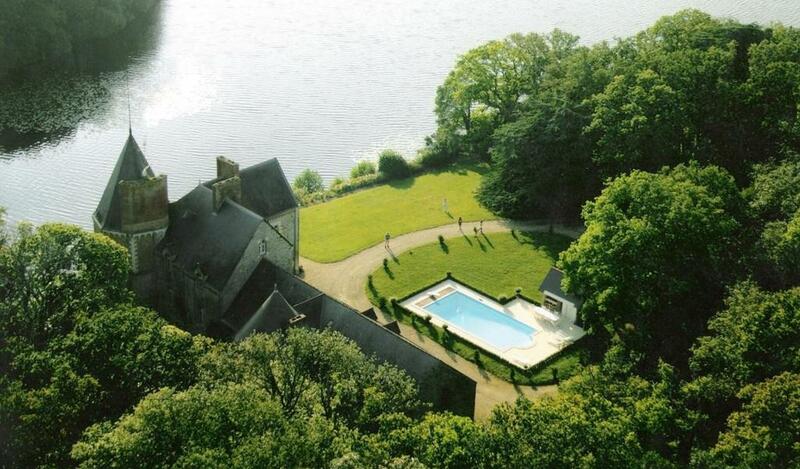 The chateau is nestled in a gorgeous green setting. All in 7,24 acres (2,93ha).